„Now is the best time in life to found a company. 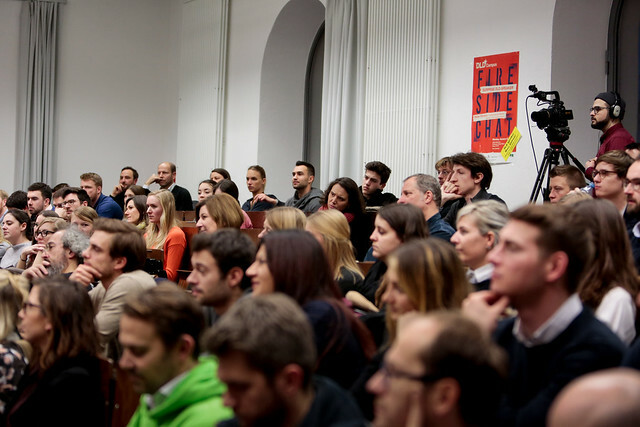 You’re young, you’re free, you’re unattached - try it out!” This is Marc Samwer’s advice to the participants of the DLD Campus Lecture at LMU Munich. He is a real VIP in the European founders’ family and ranks among the most well-known entrepreneurs in Germany together with his brothers. At DLD Campus Lecture on Monday evening, Samwer shared the secrets of his success and his mistakes with Stefan Winners and spoke about what you need to become a successful entrepreneur. Together with Internet Business Cluster e.V. (IBC), Burda used the DLD Campus Lecture format for the ninth time already to open up its digital DLD conference to a young target audience. You should be a dynamic person, very structured, hands-on, and ready to work hard for your ideas. These are the qualities Marc Samwer looks for in young founders. “Being an entrepreneur means managing insecurity”, says Samwer. Making decisions quickly and consistently in an insecure environment was an important condition for being successful. Moreover, it was very important to work within a good team. “We think founding teams of three people are ideal – perhaps because we are three brothers”, Samwer tells the audience. For him, a good team has priority over searching for a good idea. “If you want to found a company, look for a soulmate,” Marc Samwers advises the young participants, “You have to be sure that you want to and are able to spend a lot, a great lot of time with this person in the next few years.” This was one of the many helpful tips he gave the students in the auditorium, some of whom have already founded a company or are toying with the idea. After the discussion, the participants used the opportunity to ask Marc Samwer their own questions. These focused, among other things, on the ecological responsibility of entrepreneurs, knowledge exchange and best-practice sharing in start-ups, and the question of how often you can really fail as a founder before things get tight. “As long as you can satisfy your investors that you have learnt from a setback and are thinking about why the venture did not work out, there is no shame in failing”, replies Marc Samwer, encouraging the audience. His credo is: Just try it out! And compare notes – he, too, was happy to answer their questions at any time. That he is serious about this offer Marc Samwer showed by giving all participants his e-mail address at the end of the lecture. At the get-together after the lecture, the participants had plenty of time to exchange views on start-up ideas. Moreover, they were given the chance to get to know IBC better while having a drink and a snack. 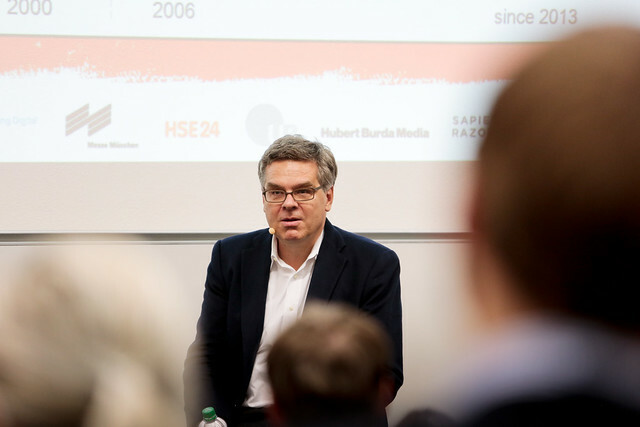 The Internet Business Cluster is a coalition of the internet and media companies Hubert Burda Media, SapientRazorfish, HSE 24, Hoffmann Group and Messe München with LMU Munich and University of Regensburg. Facilitating networking between companies and young talent is an important aspect of the collaboration. 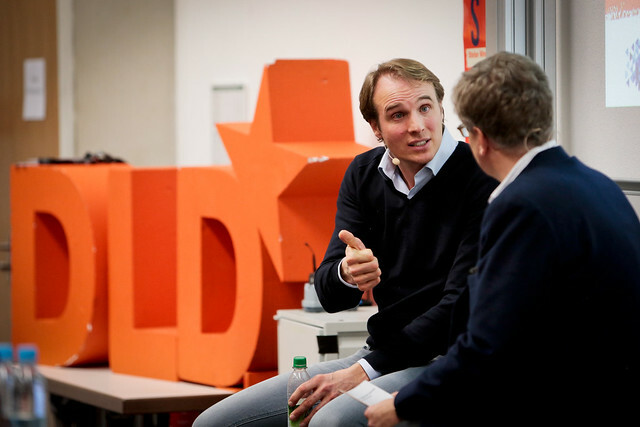 The DLD Campus Lecture, which takes place annually, offers an ideal platform for exchange.